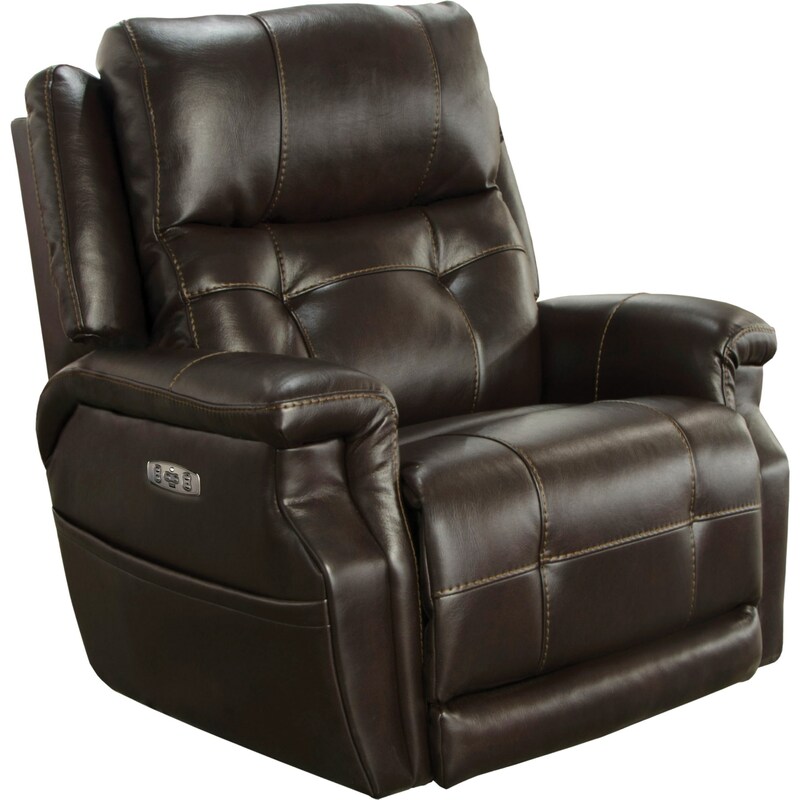 This reclining chair has an updated style but will still provide you with a high level of comfort. This piece features plush padding from the adjustable power headrest to the lower back cushions, seat and extended length footrest! Power recline and lay flat technology allow for even more comfort with almost limitless recline positions at the touch of a button. This is the perfect recline for a taller person. This chair also has lumbar support. The Motion Chairs and Recliners Kepley Power Headrest Lay Flat Recliner with Extended Ottoman and Lumbar by Catnapper at Great American Home Store in the Memphis, TN, Southaven, MS area. Product availability may vary. Contact us for the most current availability on this product. The Motion Chairs and Recliners collection is a great option if you are looking for Contemporary furniture in the Memphis, TN, Southaven, MS area.